Our community teams are dedicated to making a difference for our residents and families and the healthcare providers we work with. Occasionally they write to tell us how we're doing. We're touched by these letters and we take their words to heart in the day-to-day operations of our communities. 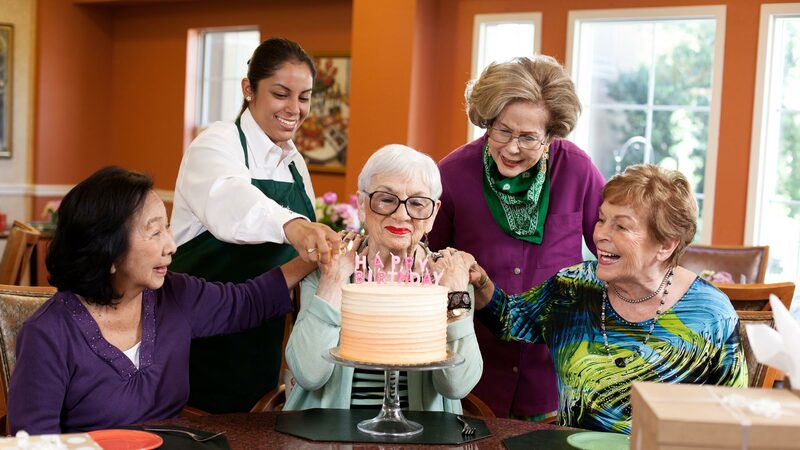 We've decided to share these letters to give families considering Senior Living a very personal glimpse of what you should expect for your loved one. I know that Belmont is a business, however the love of the people there made it seem more like a home and family. The peace of mind we have had over the years knowing that Mother is in the very best of care is priceless. My grandma has made so much progress since moving to the unit, becoming more social, enjoying her food and eating again, and becoming more engaged in life. He became a happy person again. Belmont Village was truly his home. I thank you for providing such a caring, nurturing environment for him in his last year of life. The main reason for the success of Circle of Friends is due to the expertise, caring, and professionalism of its leader, Adrienne. With the love and attentiveness of Belmont Village we have never felt alone or concerned over mom’s care. Carlene has been by his side and my side every day this past year. She has met with my brothers and me on numerous occasions to work on his care plan. It didn’t take us long to know that we had placed mom in an environment of very special and loving caregivers. We haven’t missed our house or car for one minute, since we’re here.